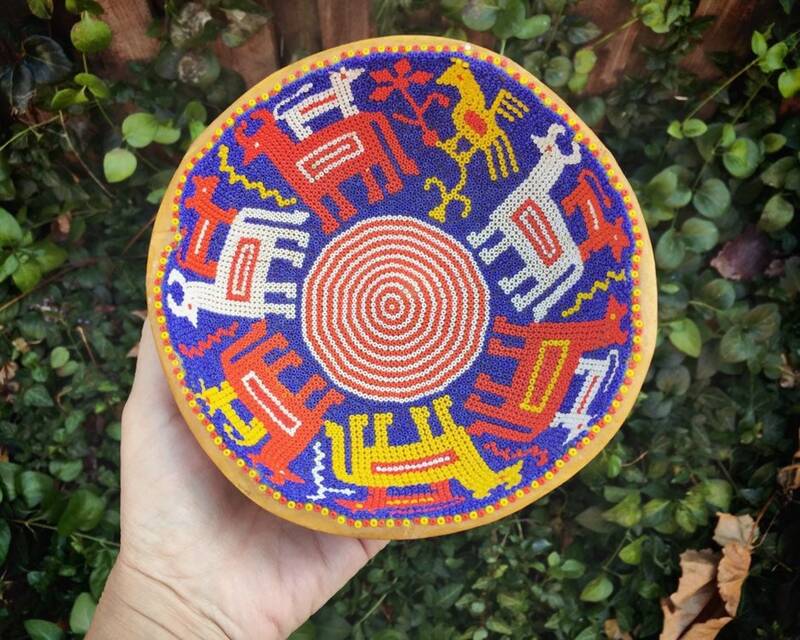 One can still purchase beaded gourd bowls made by the indigenous Huichol people of the Sierra Madre Mountains in West-Central Mexico, but to find a piece that is older, this one being circa 1960s, and in still good condition is quite a treat. 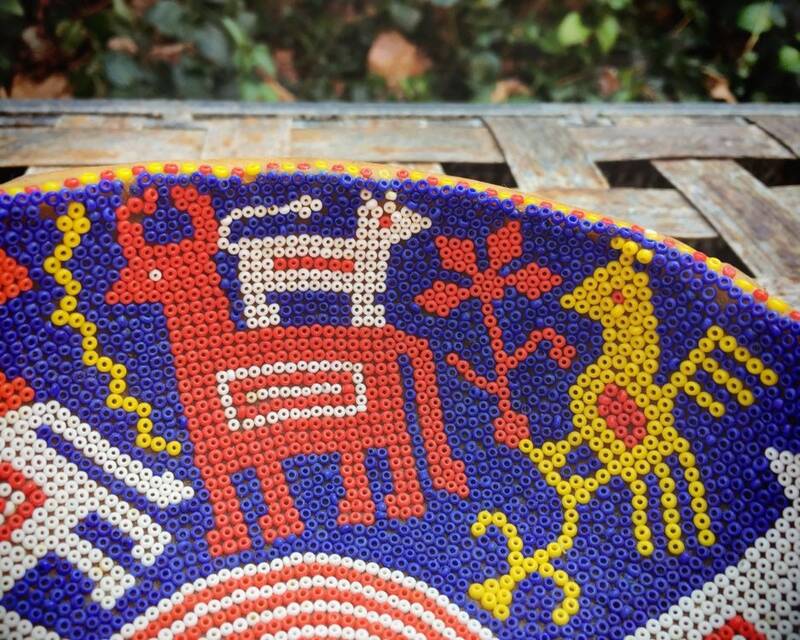 These bowls have been made by the Huichol since trade began with the Europeans, introducing glass beads to the Native peoples of the Americas. 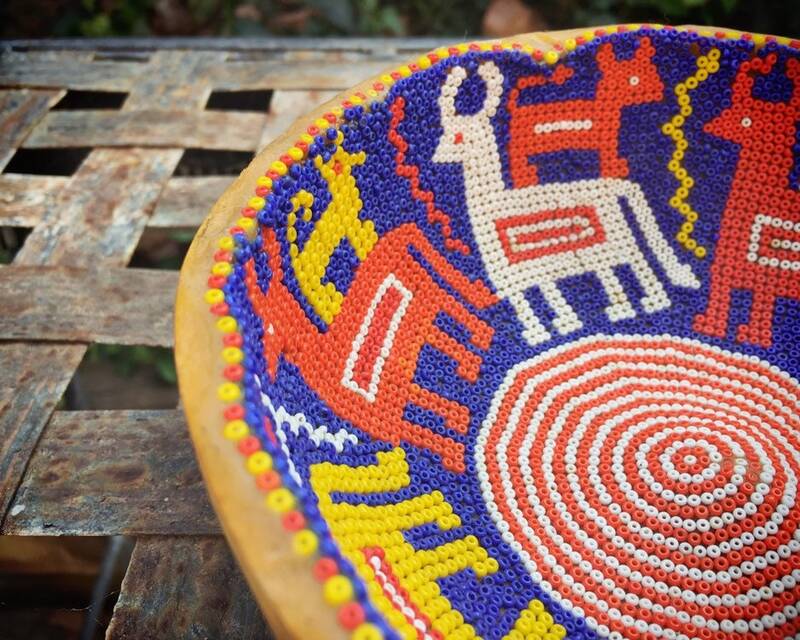 A traditional form of Huichol beadwork is the gourd bowl, the tiny seed beads arranged in geometric patterns depicting crops, animals, and other symbols of spiritual significance. 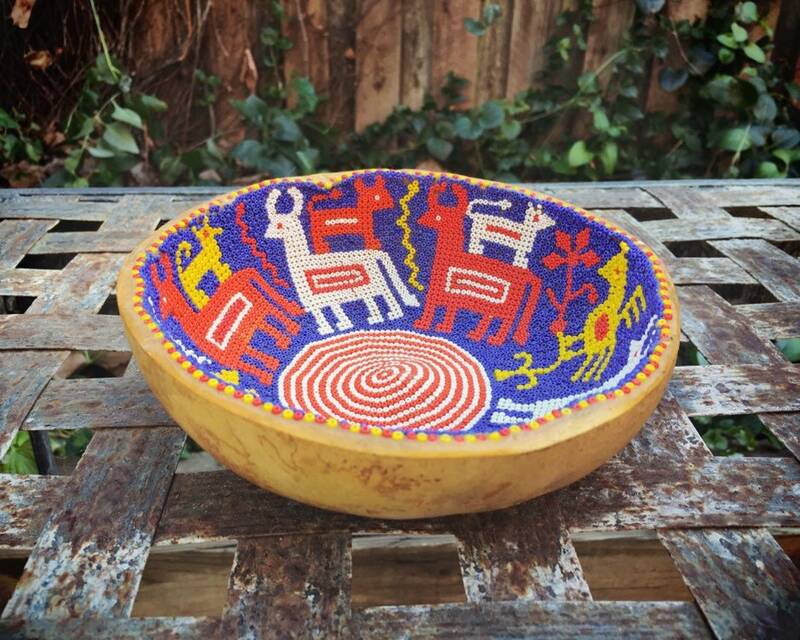 This bowl came to me directly from the person who purchased it in the 1960s. 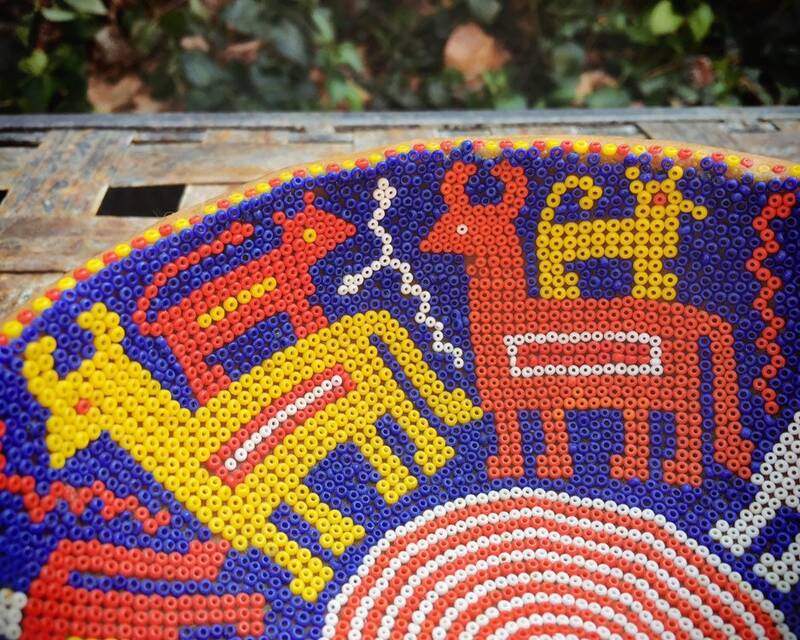 The colors are vibrant, and consist of blue bead background and beads of orange-red, white, and yellow. 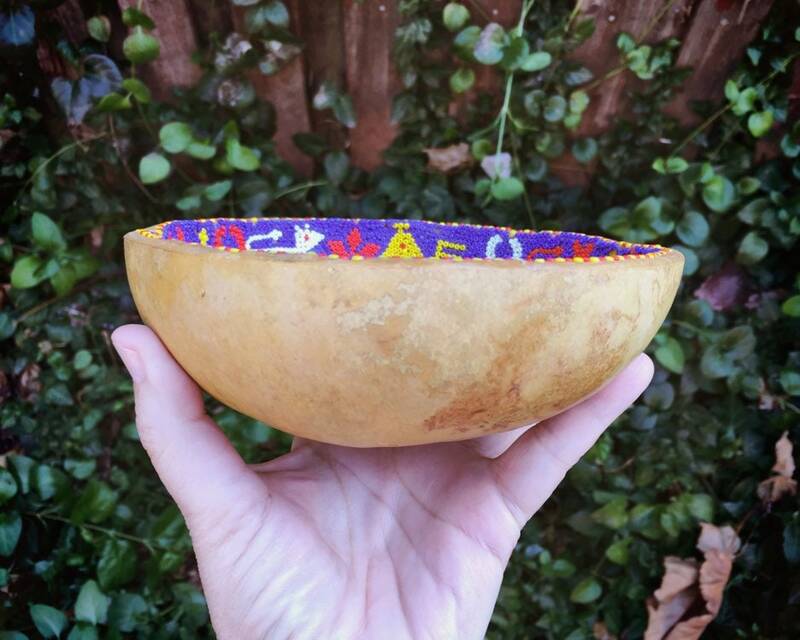 The gourd is lined with beeswax, and each bead pressed into that wax. 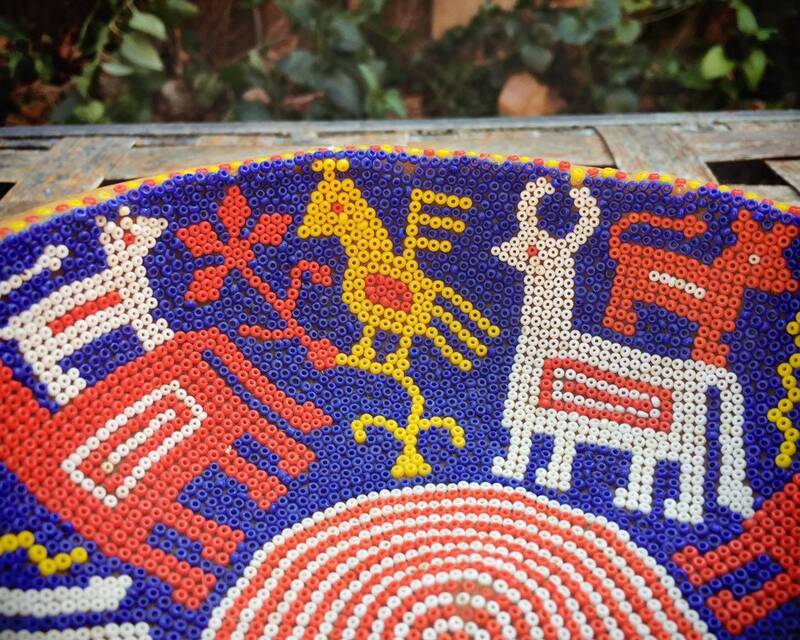 This gourd has a few beads missing, but is in quite good condition given the age. 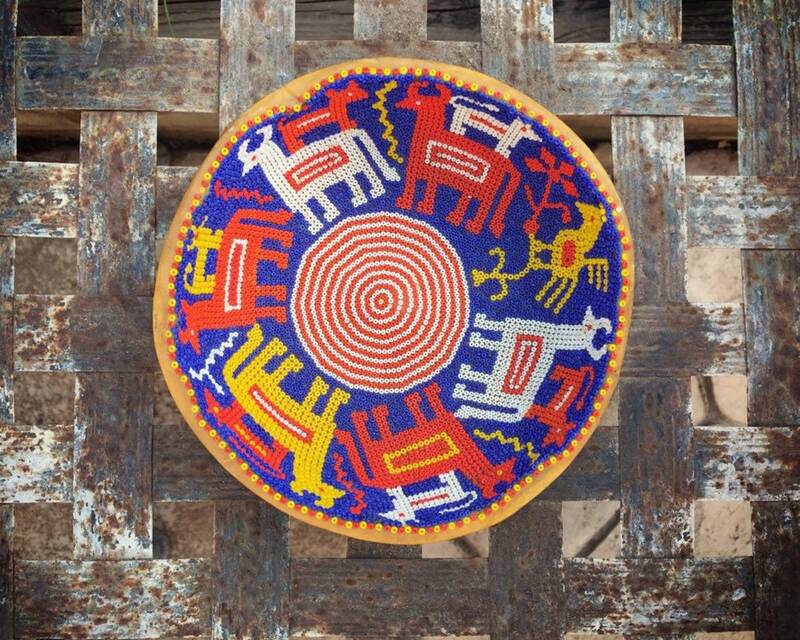 I love the circle center, which could represent a crop or be a symbol of life itself. Measures about 6-1/4" across by 2" tall. 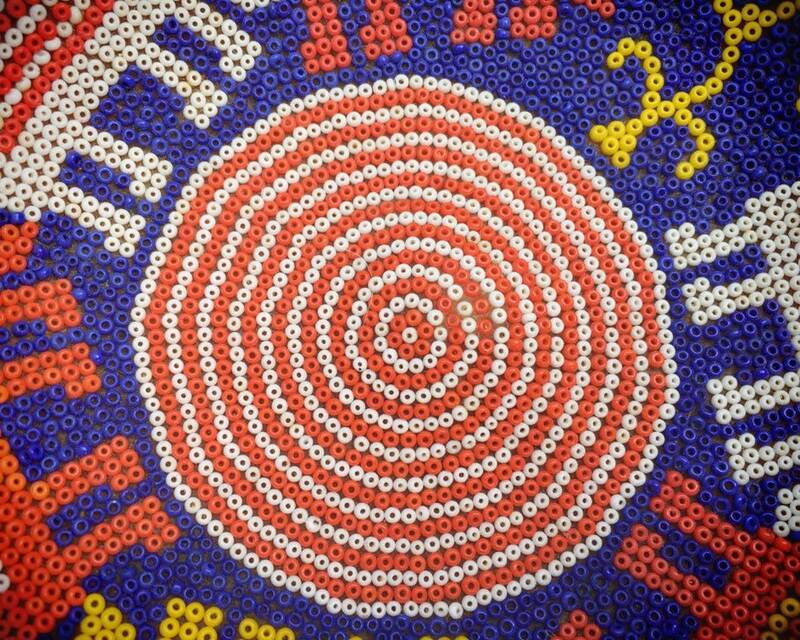 Again, I can count about three or four spots that likely had beads now missing. 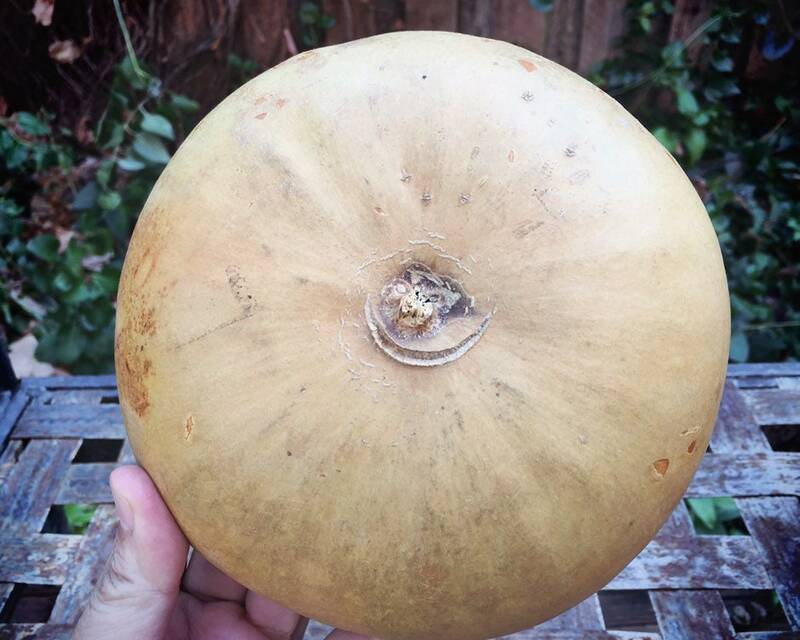 There are spots with a space, but some of those are the uneven surface of the gourd and not a missing bead.